HERNDON, VA--(Marketwired - Jul 13, 2016) - With its 11 parks, acclaimed golf courses, free concerts and close proximity to Washington, D.C., Herndon may be a small town, but it's mighty fun. And this summer, the best way to experience it all is at the Residence Inn Herndon Reston. From locals looking for a summer staycation, to out-of-towners in search of a getaway that offers both small-town charm and big-city access, this hotel in Herndon, Virginia fits the bill without breaking the bank. Its special summer rates start at just $109 for weekend stays between now and September 5, 2016. If visitors want even more action, this extended-stay hotel in Herndon is just 22 minutes away from downtown Washington, D.C. where they will find museums, the National Zoo, shopping, nightlife and acclaimed dining. The area is also home to a number of renowned wineries, making wine tours another favorite activity among visitors and locals alike. While Herndon may offer an unexpected wealth of entertainment, the Residence Inn Herndon Reston is equally full of surprises. Visitors will enjoy perks like full kitchens that make it easy to settle in for a week and take day trips to explore the region, rather than repeatedly pack and unpack. 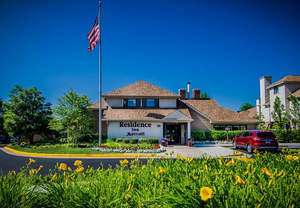 The hotel also offers free breakfast buffets and Wi-Fi, apartment-style accommodations and, unique among hotels near Great Falls, Virginia, a wealth of outdoor spaces that emphasize that vacation feeling. Take a dip in the expansive pool, or gather your family together on the terrace for a barbecue. The choices are as numerous as the reasons to visit. Summer rates are valid for stays between Thursdays and Sundays through Labor Day Weekend. For more information, or to check availability, visit www.residenceinnherndon.com. At the Residence Inn Herndon Reston, guests will discover a home away from home, whether they're staying a few days or a few weeks. The hotel's 168 suites invite guests to unwind with full kitchens, LCD televisions, plug-in technology and free fiber-optic Internet access. Visitors will also enjoy a range of complimentary features, from breakfast buffets and regularly hosted evening socials, to shuttle service to the airport and nearby destinations. These Reston, Virginia accommodations also include a seasonal outdoor pool and Sport Court® to help guests maintain their fitness regimens, while the hotel's convenient location translates to exciting sightseeing and recreation. Guests will enjoy close proximity to local golf courses, shopping and dining at Reston Town Center and, a little further afield, the iconic Great Falls. Crescent Hotels & Resorts is a nationally recognized, top-5 operator of hotels and resorts. Crescent currently operates over 100 hotels and resorts in 27 states in the US and 5 provinces in Canada. Crescent is one of the few elite management companies approved to operate upper-upscale and luxury hotels under the brand families of Marriott, Hilton, Starwood, Hyatt and IHG. Crescent also operates a collection of legendary independent hotels and resorts. Crescent's clients are made up of hotel REITs, private equity firms and major developers. For more information, please visit www.chrco.com. The Residence Inn Herndon Reston is the perfect destination to enjoy the best sights this summer at incredible rates! Our hotel in Herndon, Virginia offers small-town charm and big-city access, and fits the bill without breaking the bank. Our apartment-style accommodations are unique among hotels near Great Falls, VA, with a wealth of outdoor spaces.